In 1503, the Cayman Islands were sighted by Christopher Columbus who found them alive with marine life including the numerous sea turtles that led to the Island's original name, Las Tortugas (Spanish for "the turtles"). The islands were colonized by British settlers from Jamaica in 1734 and remained a dependency of Jamaica until 1959. Currently, the islands are a British Crown Colony. Cayman Brac (Gaelic for "bluff") is named for the long rock formation that runs down the Island's center line. For a time, famous pirates such as Blackbeard and Morgan found the Island's caves an ideal spot to hide their booty. 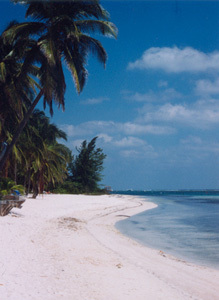 Currently, about 1600 residents inhabit the peaceful island of Cayman Brac. The people are friendly and courteous, and the island itself offers not only rest and relaxation, but has a variety of things to do. In addition to SCUBA diving and rock climbing, there is easy access to offshore snorkeling, beautiful beaches and local bars and restaurants. Fishing, walking, biking, and just relaxing are also very popular! 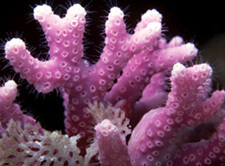 Known for it's magnificent geological formations and rich marine environment, Cayman Brac is ranked as one of the world's premier diving destinations. The unspoiled beauty of natural coral reefs and attractions such as the fully intact and upright 330 ft sunken Russian Destroyer await the Cayman Brac diver. 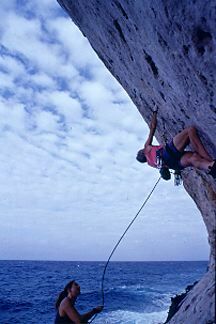 With the magnificent limestone bluff, the Brac is becoming known as an outstanding climbing destination. Currently there are 77 marked and pinned routes with difficulty ratings varying from 5.8 to 5.14. The routes begin at sea level and transverse up to the top of the bluff. The view of the sea on these climbs is awesome! Some of the climbs require special techniques and it is a good idea to contact a local guide prior to climbing in order to ensure your safety. While the climbs are generally aimed at the more advanced levels, the Brac offers many beautiful places for the non-climbing visitors to go as well. There is beautiful hiking along the face of the bluff, where the sea greets the land with it's turquoise grace. Many of these destinations require walks along the rough iron shore and through brush. In order to keep your ankles and skin in tact, bring good shoes! !